PT Fitness is a community of women and men who are committed to embracing your Heart, developing your Focus, and celebrating your Power. We believe that fitness should be fun, nutrition should be delicious, and the best you can be is healthy. Our company mission statement: Develop positive lives. Heart is my driving force. Heart, Focus, Power is my win. 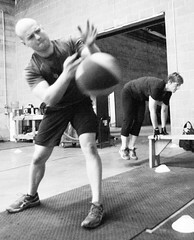 A PT Fitness workout is a fun, dynamic program geared towards developing cardiovascular and muscular strength endurance. All of our workouts are self-paced and scientifically designed for safe, optimal results. 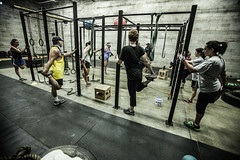 Each PT Fitness workout is circuit-based and is challenging while energetic and encouraging. Our gimmick-free system yields lasting results. PT Fitness is making healthy choices easier with Blue Zones Project®, helping our community live longer and happier lives. Learn more about Blue Zones Project at bluezonesproject.com.